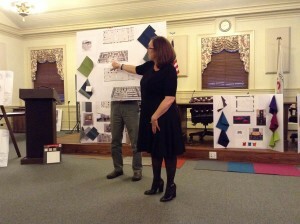 The Haddonfield Public Library renovation is nearing an end. 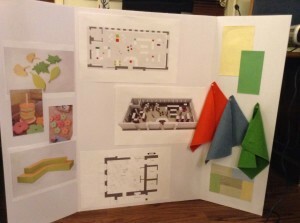 At the Friends of the Library annual meeting on April 27, Project Architect Anthony Iovino, Project Manager Sharon Parker, Mayor Jeff Kasko and HPL librarians gave an update on the renovations and expansion to residents. Those involved in the project hope the library will be open around July 4. The Haddonfield library, which began construction at its present site in 1917 and was completed in 1919, has been around for almost 100 years. Because of its age, the library was in need of improvements, not only structurally, but also for compliance with American with Disabilities Act and 21st century technology. 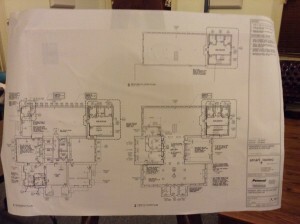 Commissioners approved the renovation and awarded bids in April 2015. For those involved in the renovation, they wanted to keep a lot of the feel of the past, but make sure the library is prepared for the future. “What we’re doing is we’re preserving the best of the past, what we have in the building, and we’re making it fit for the future. It’s much more accessible and much more aesthetically pleasing, and the flow and use of this building will be greatly improved for this century,” Kasko said. Building improvements made include an almost 2,000 square foot, three-floor addition on the Tanner Street side of the building, making ADA improvements such as elevators and handicap bathrooms as well as adding fire egress stairs; upgrading the fire system; adding a new roof; improving the heating and air-conditioning system; removing the stairs in the teen room, allowing for more space; opening the children’s area; creating more open meeting room; and upgrading the electrical components to support technology. As for aesthetic improvements, the spaces of the library are being used in different and unique ways to provide support and accessibility, all the while maintaining the aesthetic of the library itself. Systems have been upgraded, but older aesthetic, architectural items will remain, including terrazzo, a mosaic, moldings and more. Some aesthetic changes to be made include the front entrance being more open, using the old fireplaces to its advantage; a new circulation desk will be added; the public computers are planned to be moved to one space and are upgraded for 21st century learning; the teen room will include a meeting space; the fiction section is now on the main floor; the nonfiction section is upstairs; the children’s department is more open and colorful and includes a children’s destination space; new technologies will be available throughout the library; and different choices in color and furniture were made. Acting Director Eric Zino and Children’s Librarian Jordan Bilodeau spoke on how these improvements will help not just the library, but the community at large. There will be more programs for adults and children, better access to educational learning and up-to-date technology and systems, more meeting space for education and professionals, and much more. “I think this is going to be a really great space, and there are going to be a lot of great things to come,” Bilodeau. Kasko made sure to note that, like with many projects, there have been delays and cost overruns, as originally the library renovation was to be done by early spring and now is planned to open around early July. 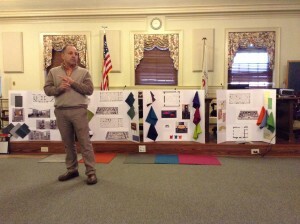 However, he said Haddonfield made a commitment so it was flexible to change. “We did not go cheap on it because this is going to last for a long time and this is an important part of our community and should be something everyone is proud of,” Kasko said. According to Parker, some things still need to be done. This includes painting, terrazzo restoration, finishing the elevator and installing light fixtures. They also are awaiting code and inspection approvals before a certificate of occupancy can be approved, and the setting up of the library can begin. When moving into the upgraded library, staff plans to have as little shutdown of the library as possible. However, an exact plan is not yet in place. According to Kasko, when the library opens in the summer, there will be a soft opening, as many people will be busy and away. The borough is planning to have a grand opening in September. “We can’t wait to see you guys there,” Zino said. For more information, visit the library’s website at www.haddonfieldlibrary.org.